France’s leading philosopher of postmodernism takes to the freeways in a collection of traveller’s tales from the land of hyperreality. From the sierras of New Mexico to the streets of New York and LA by night—”a sort of luminous, geometric, incandescent immensity”—Baudrillard mixes aperçus and observations with a wicked sense of fun to provide a unique insight into the country that dominates our world. 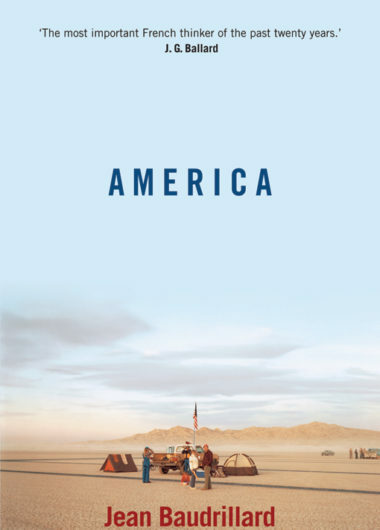 In this new edition, Geoff Dyer offers a thoughtful and perceptive take on the continued resonance of Baudrillard’s America.